Crysteel Manufacturing offers a wide selection of premium quality hoists for almost every application imaginable. Hoists from Crysteel are the industry's toughest and most innovative. For stability, reliability and sheer power, nothing compares to Crysteel's line of comprehensive line of hard working hoists. Engineered for easy installation, ease of operation, safety and long service life. Its low profile adds no body height, keeping the load low. 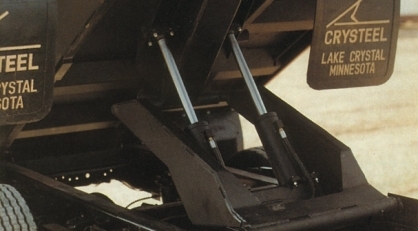 Full-length subframe is engineered for added strength and stability. Easy installation, ease of operation, safety and long service life. Hoist cylinder can pivot up to 2.5 degrees side to side. 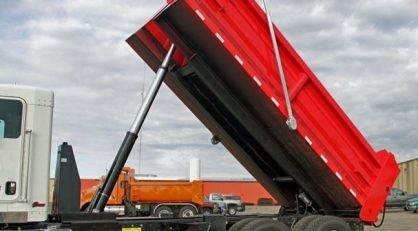 The floating cradle is designed especially for haulers that move in and out of construction, demolition and mining sites. 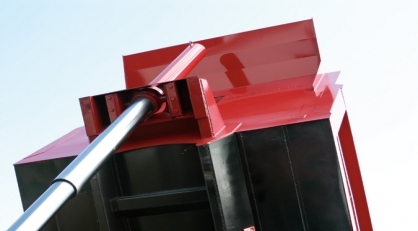 The subframe-mounted hoist is made in seven sizes for dump bodies 8 to 17 feet long at capacities up to 34 tons. Crysteel’s StingRay represents a powerful value in heavy-duty hoists. 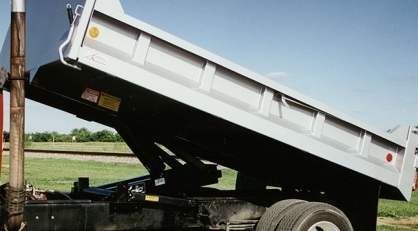 Capacities range from 10 – 50 ton on bodies from 10 to 28 feet long. 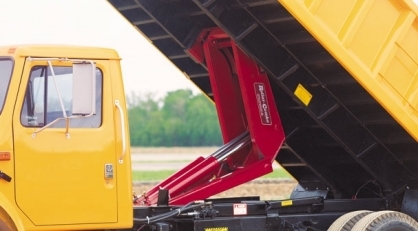 The Turbo Telescopic hoist is available in eleven powerful models for dump bodies from 9 to 21.5 feet. 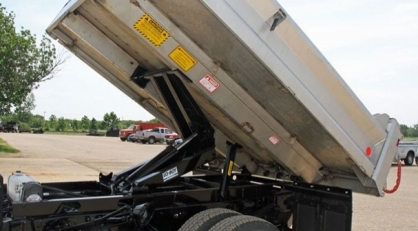 Load capacities range from 11 to 62 tons!